A $175.5 billion fiscal year 2020 budget finalized by Gov. Andrew Cuomo (D) (seen above) and New York state lawmakers April 1 created a congestion pricing plan for New York City’s central business district, with the money generated from those congestion fees providing funds for the Metropolitan Transportation Authority. “This budget delivers on our promise to develop sustainable funding for the MTA and addresses critical transportation needs throughout the state,” added New York State Assembly Speaker Carl Heastie, a democrat who represents the state’s 83rd district. The central business district tolling program – touted as the “first program of its kind in the nation” – will install electronic tolling devices on the perimeter of New York City’s central business district, defined as streets south of 60th street in Manhattan. The program – which aims to begin operation by December 31, 2020 – will be operated, and maintained by the Triborough Bridge and Tunnel Authority in partnership with the New York City Department of Transportation, with a TBTA charged with establishing a six-member “Traffic Mobility Review Board” to guide the creation and implementation of on tolls, exemptions, and credits. To raise additional funds for the MTA, New York’s FY 2020 budget implements a “progressive mansion tax” on mansions with a combined top rate of 4.15 percent on the sale of properties valued at $25 million or above. That tax – which goes into effect July 1 – is expected to raise $365 million that will be deposited into the MTA’s capital lockbox and will be used to support up to $5 billion in financing for MTA projects. 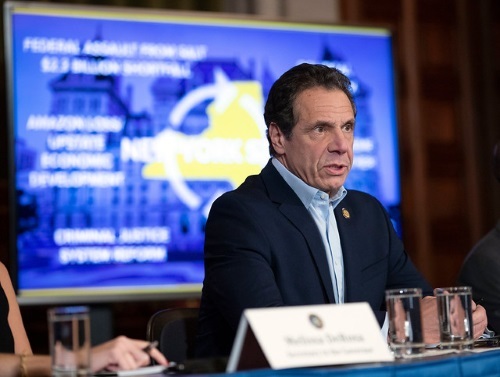 The FY 2020 budget also creates a “consistent framework” for the collection of required sales taxes by internet marketplace providers; a move expected to generate $160 million annually in new revenue for local governments and $320 million for the MTA capital plan lockbox. Require public reporting on MTA performance metrics.